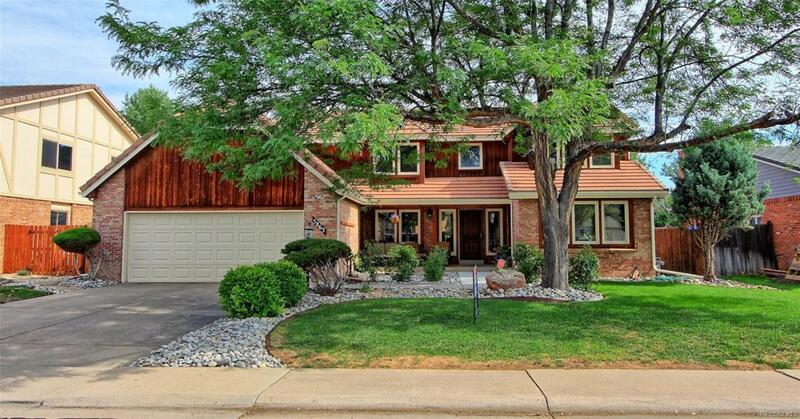 BEAUTIFULLY UPDATED FAMILY HOME IN LAKEWOOD ESTATES!! NEW PAINT IN AND OUT, NEW KITCHEN W/QUARTZ COUNTERTOPS, ISLAND & UPDATED CABINETRY (QUIET - SELF CLOSE). NEW HARDWOOD FLOORS & CARPET THROUGHOUT, NEW ELECTRICAL & A/C. ABSOLUTE MOVE IN CONDITION, SHE'S A BEAUTY! MASTER SUITE W/5 PIECE BATH, FORMAL LIVING & DINING ROOM... FABULOUS FAMILY ROOM VAULTED WITH FIREPLACE & WET BAR, LIGHT & BRIGHT, TONS OF STORAGE. HUGE BASEMENT APPROX 65% COMPLETE. MUCH MUCH MORE! TOO MUCH TO LIST!